Wanna know what this monstrosity of a milk shake is all about? Of course you do, but you’ll have to read to the end. I promise to tell you all about it but I have to share the healthier options first! I recently had the pleasure of visiting the fairly new Juice Tap and I was blown away by everything they had to offer from ambiance all the way down to menu items. 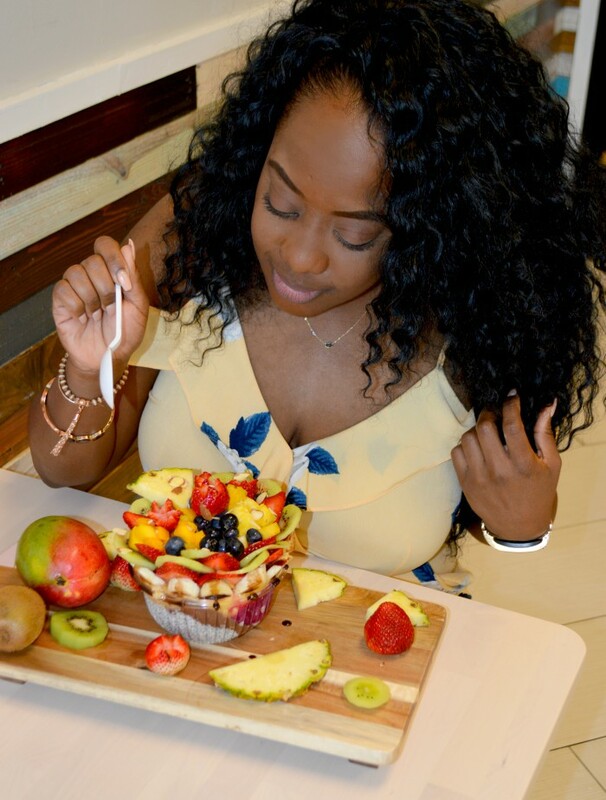 They are locally owned, the food is locally sourced, and they are dedicated to providing the freshest of juices, smoothies, and bowls. 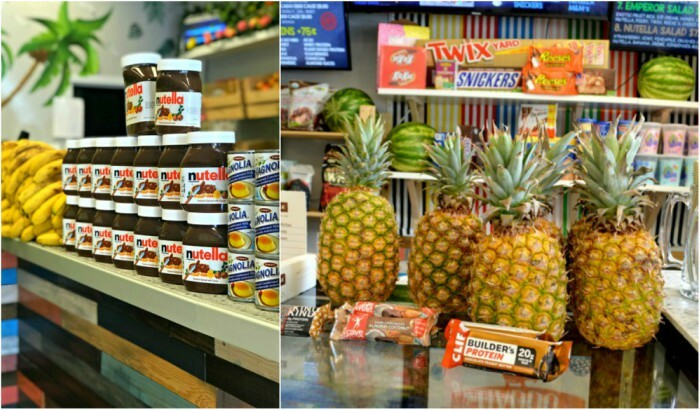 As an adult, walking into Juice Tap gave me the same feeling as I had walking into a candy store or ice cream parlor as a child. It sort of reminds me of a healthy candy store. There are loads of fresh fruit hanging out! Now don’t get me wrong, they’re definitely in the business of providing you with indulgent options as well so as you can see, all of our favorite candy bars are in the building as well. So let’s get to what we had! I went to Juice Tap with a few of my foodie friends and they sort of went all out for us! We started with a smoothie bowl called The Supreme and let me tell you, it was true to its name. This bowl consisted of a mixture of different bases including pitaya, peanut butter, and chia flax seed pudding, which was my favorite. As you can see, it was loaded with fruit! One thing I really love about Juice Tap is that they don’t use added sugars or syrups so the sweetness you get is from the fruit, juices, and an occasional helping of Nutella! I’m not even gonna front, this bowl was so massive, I didn’t know how to get into it! It looked like an edible arrangement. Once I figured it out, I was blown away at how yummy it was! 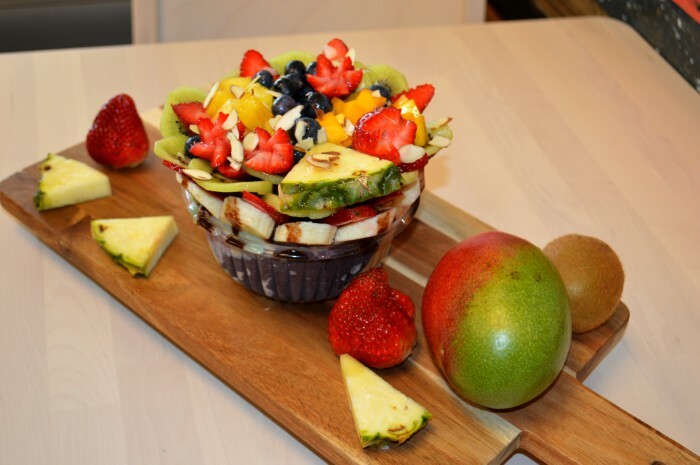 Whoever said, healthy is boring, knows nothing about good food! It was incredibly filling and tasty! We were given the Darth Vader Acai bowl to sample next! It was May 4th so it was only right! So this bowl was quite interesting. It consisted of Nutella, Banana, Strawberries. Peanut Butter, Almond Milk, Almonds, and Charcoal…yes Charcoal. I never realized charcoal could be edible and I never knew it had health benefits but in an activated form, it is good for digestive and oral health. Hey, you learn something new everyday. I personally don’t care for the texture but I still enjoyed the fruit and Nutella from this dish. 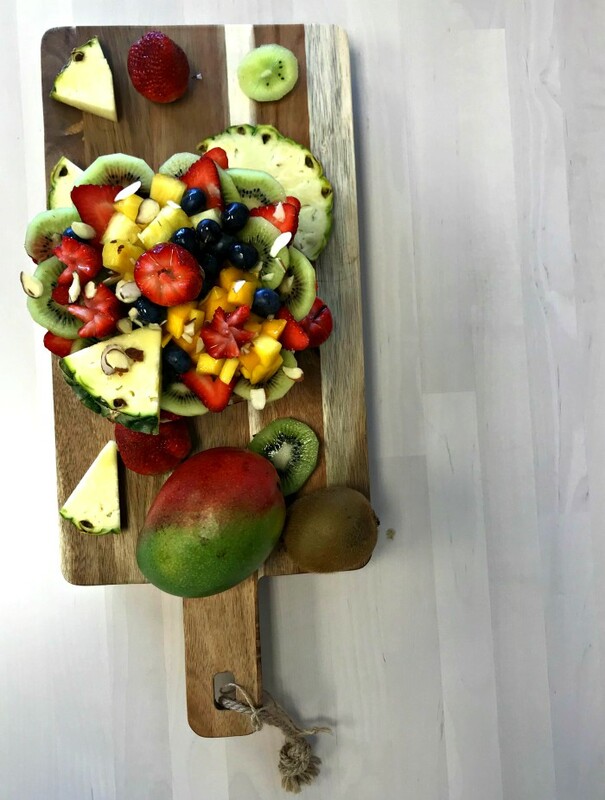 Besides the delicious bowls and smothies, Juice Tap also serves toasts, salads, detox juices, health shots, lemonades, and FREAK SHAKES! I don’t know if these massive shake creations originated in New York or Chicago, or wherever, but ladies and gentlemen, we have them in Jacksonville, Florida now! 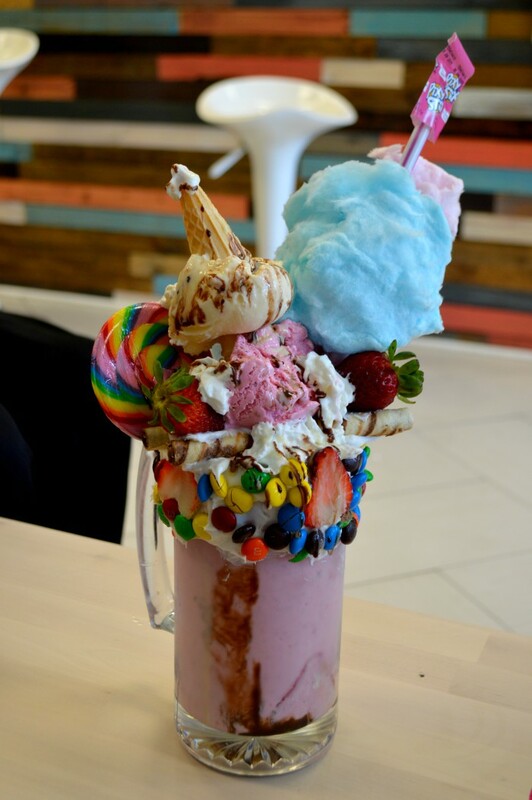 You can get a monstrosity of a shake at Juice Tap! This is the Unicorn Dream Shake! I affectionately call it the DiabEEtus! 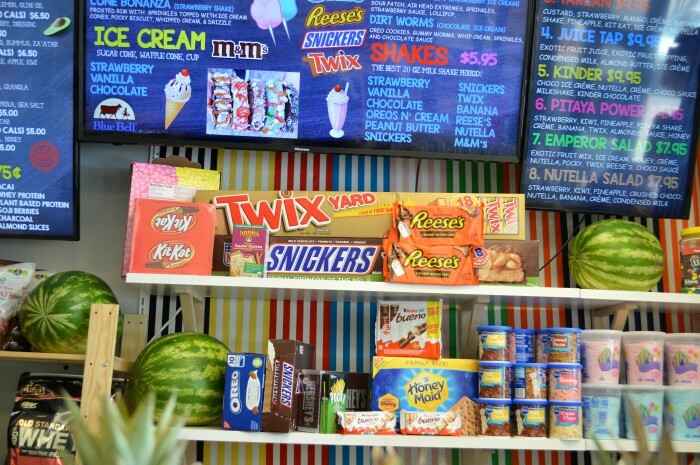 With everything it’s topped with from cotton candy to pixie stix, three scoops of ice cream with the cones, just to name a few, you would not only consume all of the recommended calories for two days, but your blood sugar would be through the roof! Nevertheless, if you have 10 friends to share it with, I say go for it! You only live once! 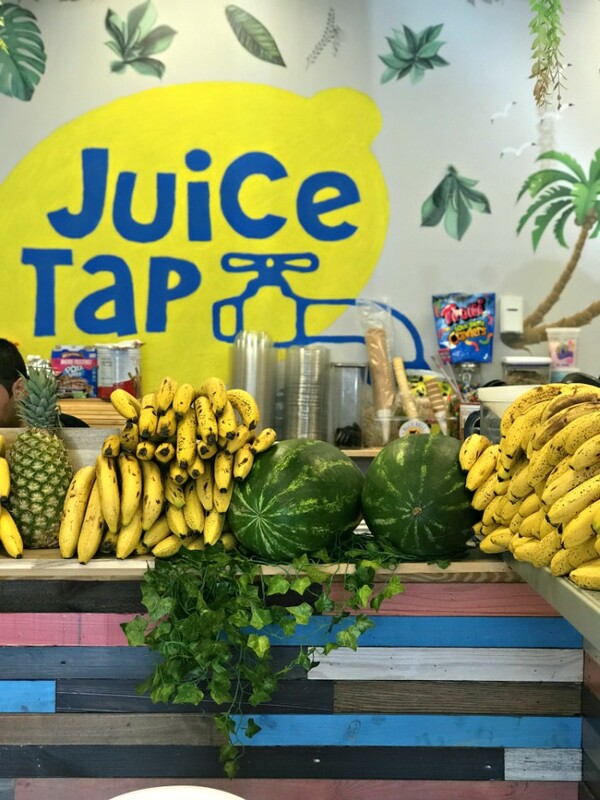 The next time you’re in the mood for a healthy place that serves real fruit smoothies and bowls, or if you’re in the mood to blow all of your weeks calories for a shake, head on over to Juice Tap! They seriously are delicious. The service is awesome and the atmosphere is friendly and inviting. 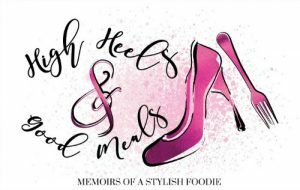 You’ll enjoy your food experience there! So of the three items I mentioned, which one would you choose? Let me know in the comments below and as always, thanks so much for stopping by! oh my goshhhhh this looks like straight out of willy wonka! I know right! 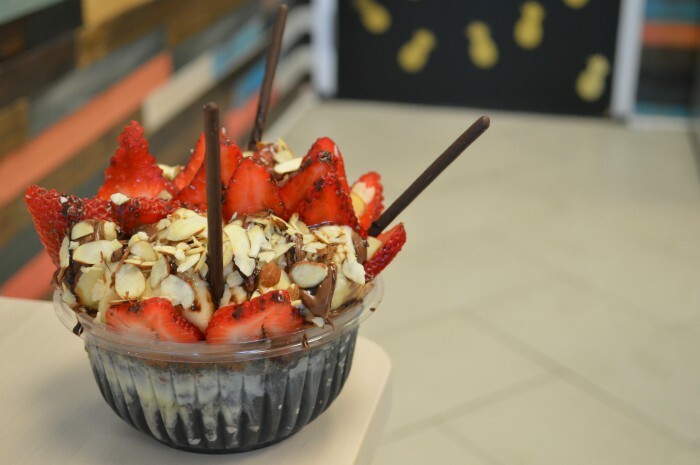 Have you been to Candy Apple Cafe? That's Willy Wonka for ya! OMG! That looks hella YUMMY!